Is the LRA Plotting Another Christmas Massacre? While many people are preparing for holiday festivities, the Lord’s Resistance Army could be planning another large-scale “Christmas massacre.” During the holiday season in 2008 and 2009, the LRA conducted widespread attacks, killing and abducting hundreds of people. Some analysts have cautioned that the LRA may do so again this year. A few issues provide reason to worry about large-scale attacks against civilians during and after the holidays, and the recently deployed U.S. military advisors and other key players should pay special attention to ensure that this does not occur. The first reason to worry is the renewed military campaign against the LRA and the fact that the LRA tends to retaliate against civilians when facing military attacks and efforts to secure defections. Ten days after Operation Lightning Thunder—the previous campaign against the LRA—was launched, the LRA began simultaneous, large-scale attacks in several areas in northeastern Democratic Republic of Congo and what is now South Sudan. According to Human Rights Watch, they killed more than 865 civilians and abducted at least 160 children. The LRA has carried out reprisal attacks during other military operations, including Operation Iron First and Operation Rudia. Although public information about the joint U.S.-regional mission against the LRA has been minimal, reports of the U.S. setting up two bases in the Central African Republic and South Sudan and training regional militaries have made the news. The goal of the advisors’ deployment is to improve regional efforts to apprehend the LRA’s top commanders, protect civilians, and encourage defections from the group—objectives likely to provoke the ire of Kony. 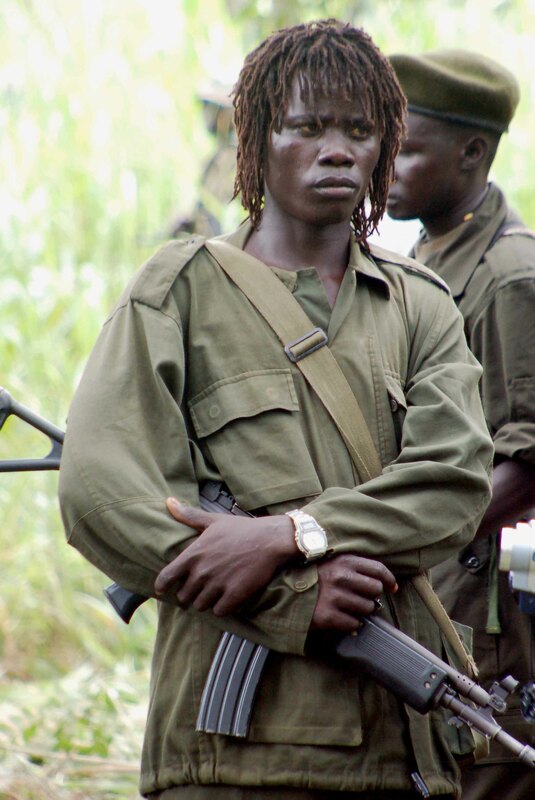 A second reason for concern is that although a large group of LRA fighters—and possibly Kony —are in Congo now, the Congolese government has ordered the Ugandan army, a major player in the already foundering military operations, to stop all operations there. Data from the LRA Crisis Tracker, a joint initiative of our friends at Invisible Children and Resolve, suggest that since early October there have been no LRA attacks in the Central African Republic or South Sudan. With the Ugandan army not able to pursue the LRA in Congo and given the uncertainty around the Congolese elections remaining, efforts to protect civilians and apprehend its senior leadership are likely to further deteriorate, leaving a greater security vacuum there for the LRA to exploit. The EastAfrican recently reported that the Ugandan army is allegedly planning to redeploy “a large force into eastern DR Congo” in the coming weeks, but Enough has been unable to confirm this plan. A third reason is that the regional armies and U.N. peacekeeping missions do not seem significantly more prepared or committed to protect civilians than they have been in the past. In addition to the Congolese government stopping all UPDF activity in LRA-affected areas, Kinshasa and Kampala have again dismissed the LRA as no longer a threat. For months, Kampala has also been shifting its soldiers out of LRA-affected areas and redeploying them to Somalia or back home. Fourth, the LRA has committed massacres during the holiday season twice before. In 2008 and 2009, the LRA “apparently [chose] a moment when they would find the maximum number of people all together,” during holiday festivities, and targeted churches, markets, and schools. During a period of three days in December 2009, the LRA killed at least 321 civilians and abducted more than 250 in the Makombo area of Congo. According to local sources, the LRA has already announced that it is ready for a fight, and is said to have called on its members to gather and "celebrate" Christmas and New Year's—a reference to the string of violent retaliatory attacks it carried out on December 25, 2008, and in the days that followed. The Joint Information and Operations Centre in Dungu, Congo reportedly conducted an assessment of risks during the holidays this year but found no significant threat. But with several plausible reasons to worry about large-scale or reprisal attacks during the holidays and as the mission continues, the U.S. military advisors, U.N. peacekeeping missions, and regional armies should closely monitor LRA activity and prepare contingency plans. This should include expanded patrolling in key areas during the day and night, better engagement with communities, and improved information sharing—all in order to be ready and able to act quickly and effectively. The Obama administration in particular should take a leading role on this, with AFRICOM and the State Department working closely with all relevant players to prevent attacks and protect civilians under attack, and learning from past failures.